NCRA News - Horse And Carts In The Meadows. Horse And Carts In The Meadows. 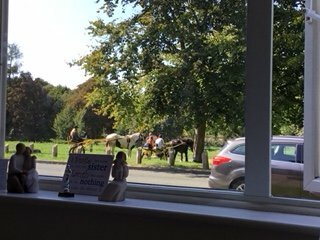 There are travellers on two horse and carts in the meadows. They have pushed over one of the logs to get in. I have taken a photo. Please could you send to the appropriate authority. Immediately upon receipt of the above we forwarded the member's contact details and the message to our SNT Police team, our local councillors and to Bexley's Works direct.